Looking for a good all around choice for a durable floor? 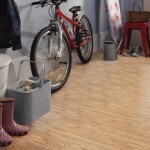 Tarkett Luxury Vinyl Tile and Plank is great for homes with active families. For those that enjoy DIY floor projects, Tarkett luxury vinyl floors come with a number of finishing options like grout or no grout, and floating installations that require no glue. We looked at two products from the Tarkett. The first is a vinyl plank collection called Good Living Plank. This is a great looking vinyl plank with variations in color and details like the grain that make this look like a true hardwood floor.With 8 styles inside this collection you can be sure to find a choice to match your tastes. The second product is a luxury vinyl tile from the Summit Slate Premier Tile collection which has six color palettes and they all have the natural look you desire out of a top quality luxury vinyl tile. Great mottled colors in natural tones and absolutely perfect for a kitchen or bath. 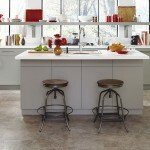 This Premiere vinyl flooring collection has a range of sizes and shapes with 12″x 12″ and 16″x 16″ tiles. With the palette of color and natural variations in design this collection is perfect for any home or even small business office. Tarkett has been producing luxury vinyl floor products that are higher quality and easy to install for years. Making use of top quality materials for lasting durability and high standards of engineering. So with that comes a great warranty too. 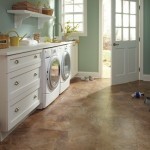 Of course, a warranty is only as good as the installation and subfloor the Tarkett luxury vinyl tile is installed on. But make no mistake Tarkett stands behind their residential warranty and that the materials should be free of manufacturer defects. To see the entire line of Tarkett Luxury Vinyl Tile that American Carpet Wholesalers has to offer, visit their online flooring catalog here. 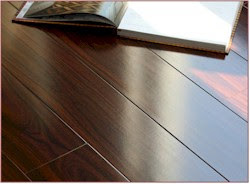 If you have questions be sure to call one of the flooring experts at American Carpet Wholesalers at (800) 548-2706 – and while you are speaking with them ask them to give you a quote since many times the prices listed on line are the Minimum Advertised Prices (MAP) that the manufacturer says have to be displayed. You never know how much more you could save by calling, and it never hurts to ask!